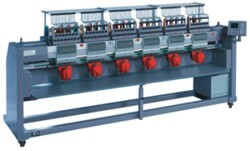 ZSK Multi Head Embroidery Machines - Strawberry Stitch Co.
ZSK automatic embroidery machines have been the world's leader in technology and durability the world over. 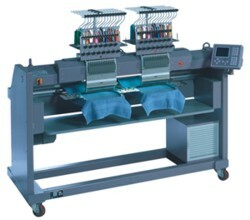 We specifically chose to distribute the ZSK embroidery machines because of the great value the ZSK brings to any embroidery operations. Their German engineering is superb to all others allowing you to spend your day producing beautiful embroidered products and not pulling your hair out wondering why you skimped on such an important purchase. Above all, change over is affected in no time for all embroidery applications such as cap embroidery and tubular applications. 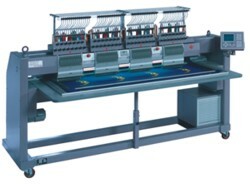 The use of the respective additional devices allows embroidery with sequins, cords and loops. The machine requires only a little space thanks to the compact construction while additional mobility is ensured due to the robust lockable tread rollers.